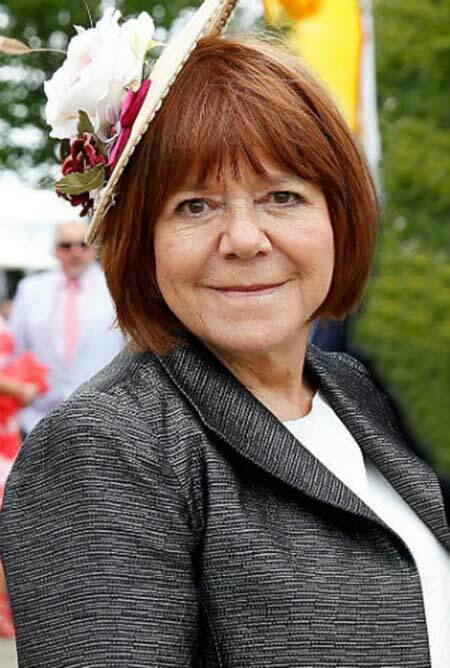 Is Rima Horton Lesbian ? The English Politician Rima Horton is a former Labor Party Councilor and Economic Lecturer popularly known as the wife of late actor Alan Rickman. She was among the Board of Directors of the charity, The Making Place and was a trustee of the Gate Theatre in Notting Hill. Horton worked as a contributor of The Elgar Companion to Radical Political Economy in 1994 and wrote about inequality in one of her papers. Rima Horton was born Rima Elizabeth Horton to parents Elice Irene Frame and Wilfred Stewart Horton on January 31, 1947, in Bayswater, London, England. She grew up with her three siblings being the third born child of working-class family parents. Her mother was originally from Wales and her father from London. Former Labour Party Councillor, Rima Horton. For her studies, she enrolled at the St. Vincent de Paul Primary School which was an all-girls school. The school was run by Mrs. Reid and Mrs. Branley and that time they had only 40 students. Later on, she attended the University of Southampton for her higher studies. Horton worked as a former Labour Party Councilor for two decades from 1986 to 2006 after winning the election in 1986 at the Chelsea London Borough Council. But later on, had to lose her position after losing in the 2006 election. She also was an Economics lecturer at Kingston University. Horton was a member of the Board of Directors (BOD) of a charity named The Making Place for three years and was among the trustees of the Gate Theatre in Notting Hill. Besides, she was interested in writing and was a contributor at The Elgar Companion to Radical Political Economy in 1994. She had raised many issues from her writings related to inequality and wealth distribution. The politician Rima Horton's net worth is not estimated and is still under review. The major source of her income is from her political career and her lecturer job. Her late husband Alan Rickman is a renowned actor who is estimated to have a net worth of $16 million. He left an estate worth more than £4 million ($5.19 million). According to the English magazine Hello! Alan Rickman had written his will three months before his death. In his will, he left £100,000 ($129,853) to charity to help heart victims and had distributed £25,000 ($32,463) each to charities like Royal Academy of Dramatic Arts, Sponsored Arts for Education, Facial Surgery Research Foundation and International Performers Aid Trust. He also left £25,000 ($32,463) each to his three nieces. Horton is the widow of Harry Potter and Die Hard actor Alan Rickman whom she married in 2012. The couple first met during their college time as both attended Chelsea College of Arts and that time. "We are married, just recently. It was great because no one was there." "After the wedding in New York, we walked across the Brooklyn Bridge and ate lunch." During the time both Horton and Rickman were teenagers of 18 and 19 respectively. They started living together in 1977 and after staying in a relationship for 35 years, tied the knot in a private ceremony in New York City in 2012. Rima Horton and late husband Alan Rickman. After their marriage ceremony, they walked across the Brooklyn Bridge together and ate lunch. He gifted Horton a simple $200 band. The couple doesn't share any children. She became a widow of Alan Rickman in 2016 after she lost him to cancer at the age of 69. Being together for nearly 50 years, the couple didn't have any children. 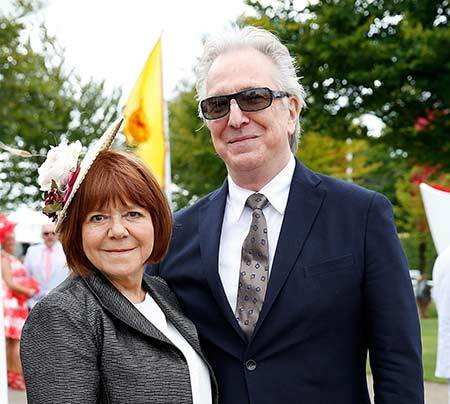 Rima Horton started dating actor Alan Rickman from 1977 and finally tied the knot in 2012. Her husband died in January 2016.